For over 50 years, we have developed superb household cleaning products that are also sensitive to the environment. In 1959, L.O.C™ Multi-Purpose Cleaner was the first organic, biodegradable cleaning product available for use in the home and it’s still a top-selling household cleaner around the world. All* AMWAY HOME™ products are powered by BIOQUEST FORMULA™ and contain high active, bio-based ingredients from natural resources like coconut, citrus fruits and minerals. They are designed to be safe, whilst still delivering excellent results. 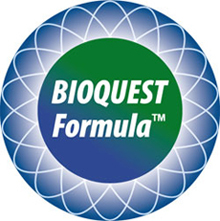 BIOQUEST FORMULA™ products are certified SAFE and GREEN because they are: biodegradable, concentrated, dermatologist-tested. The raw ingredients are tested thoroughly for safety throughout research and development. In fact, our product safety programme is among the best and most comprehensive in the world.